It’s rare to have an extended period of time where you are eating exactly the same thing every day and each bite is measured and accounted for. Obviously I am eating a lot of food each day (10lbs worth!). But that’s also all I’m eating. I haven’t had one bite of anything else besides those meals. No snacks, no booze, no soda. Nothing. When you struggle with your weight, as I have most of my life (I was one lean toddler! ), one issue is usually not being fully aware of everything you actually eat. A bite here and snack there adds up in a way you often don’t realize. I’ve noticed this a lot being a parent. When I make food for my daughter, I often grab a few bites along the way. Washing berries? Eat a few. She didn’t finish a sandwich? I’ll eat it, it’s only a few bites. She wants a cookie? Great, I’ll have one too. As I’ve been doing this challenge, I realize how often I stop myself from eating a bit of whatever I’m preparing for her. I wonder if this is part of the reason I haven’t gained weight. While I’m eating more meals, I’ve also cut everything else out and increased my activity. Maybe I’ve been consuming more calories than I realized. After this, I’ll definitely be more aware of my mindless eating and don’t plan to return to that bad habit. We Going to Red Lobster? Nah, it’s Coming to Us. In my endless quest to find acceptable spices for my cod, I perused the spice shelf at the grocery store the other day. I had my eye on a Lemon Pepper version of Old Bay seasoning, but it turned out to have sugar. 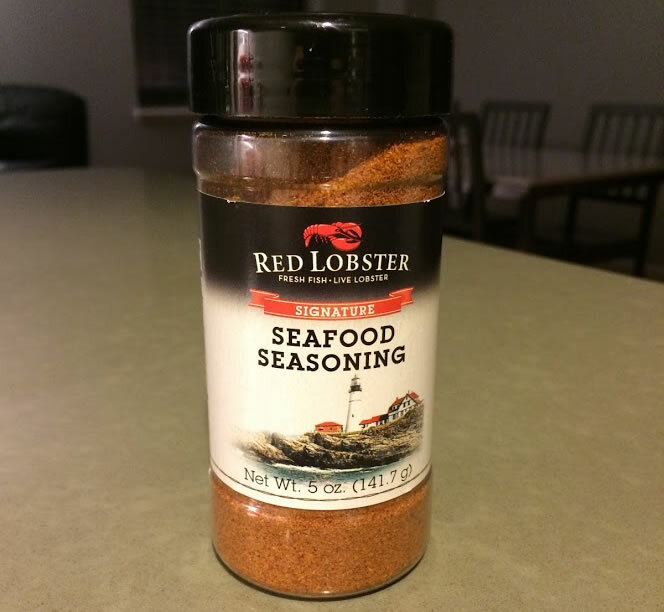 Then I noticed a familiar logo: Red Lobster Signature Seafood Seasoning. This constitutes “treating myself” this month. I looked at the ingredient list, and it was generally just salt and spices. Granted it had a touch of an ‘anti-caking agent’ but it seemed like a worthy trade-off to mix things up. It’s delicious, and definitely made the fish more flavorful. I also bought paprika, as I guess if I go with some salt, paprika, and garlic, I’ll get fairly close to the same taste without the additive. I’ll report back once I try that. Since the first week, this challenge has been rough on my hands. For starters, it’s winter here in New York City and my hands have a tendency to get chapped anyway. But hitting the gym and lifting heavy 6 days a week is definitely taking it’s toll. This past weekend, my wife had done some shopping before she met up with my daughter and me in the park. I remarked about my chapped hands, and she offered me some of the lotion she had just purchased. It worked amazingly well, much better than the Nivea I’ve been using. Can you smell what the Rock is putting on his rough hands? 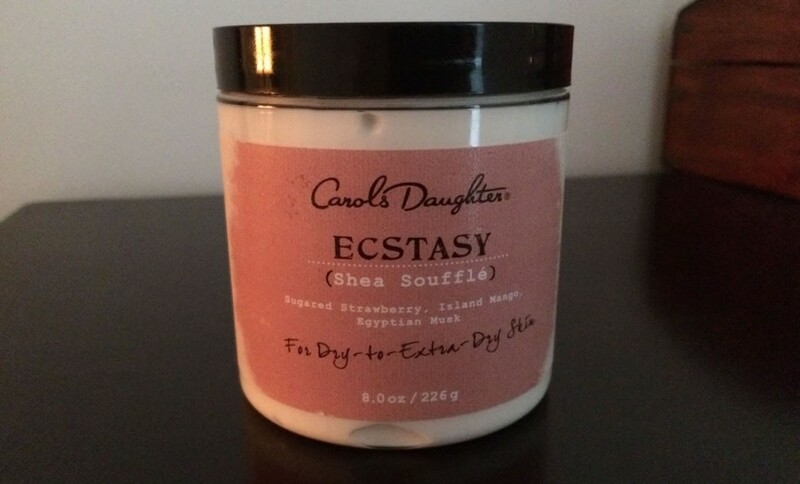 Carol’s Daughter is a line of skincare products popular with women of color. This particular lotion is scented with”Sugared Strawberry, Island Mango, Egyptian Musk.” That description doesn’t even accurately convey how sweet this lotion smells. But it works so well. I’m going to look for another shea lotion. Not from Carol’s Daughter though, because I’m not sure “Almond Cookie” is much of an improvement. 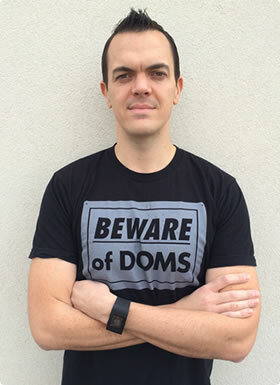 In the meantime, I’ll be the guy at the gym with the smooth, strawberry-scented hands. Cracked 4,000 daily calories for my 7-day average. I also turned on the tracking for the Weights a little late, maybe 15 minutes into the lifting, so it’s showing a bit short.